There are several different classifications of spirit guides and energies that we as humans can work with to help us on our journey. 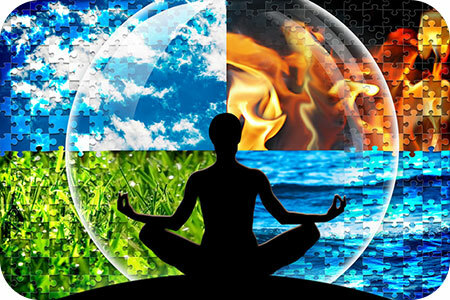 Most spiritual traditions teach about the elemental energy within the four classical elements. This is found in ancient Buddhist texts, Native American spirituality, shamanic traditions, within the Judeo-Christian and other monotheistic traditions. Working with elemental spirit guides can give us insights and strategies to promote positive changes in our lives, reveal our unconscious self-destructive patterns, and transform our subconscious mind and create a harmonious and balanced internal story. Elemental guides can also assist us when we are walking through a difficulty or life challenge, as well as intensify our ability to manifest the lives we want. It is not difficult to connect with the elemental forces. There are many strategies that can assist in bringing these elemental forces into our everyday lives. The spirit of water is associated with emotions and love. It can be used to help in assisting with emotional challenges, grief, and a better understanding and greater experience of love in our lives. In many ancient traditions there is a parallel between water and being humble. It is said to be the humblest of all the elements, always seeking the lowest point. However, in its humble position it is also one of the strongest elements. In seeking the lowest position, it can evaporate into the air, satiate the flames of fire, and carve through the mountains of the earth. I love to take baths. I can remember enjoying a good bath as far back as far as my early teens. I have always loved the way it relaxes me – mind, body and soul. For the past 15 years I have been adding Epsom salts and essential oils to my baths. It’s not only relaxing and soothing on all levels, but it helps me to quiet my mind and allow anything that is not serving me to seep out… down into the drain. My favorite time to take a bath is after a day of doing psychic readings. Being an empath I think it is super smart to take daily Epsom salt baths. Empaths tend to absorb energy from others and it can weigh us down. Baths with salts helps us to detach and connect with our own energy, and let go of any drama and chaos that may have attached itself to us. I do energy cleansing visualizations while taking my baths and it has become my daily energy cleansing ritual. The salt cleanses me from any negative energy that may have attached itself to me. I can step out of the bath feeling lighter, energetically recharged, and renewed. We all thrive on being loved. This is natural, of course, if you look back at humanity in history on an evolutionary level. Ancient people came together in tribes, families, and groups, to cultivate a place of safety, security, nurturance, and love. If you were different or stood out in any way, or even left the tribe, you were literally putting your own life at risk. This topic can be viewed from so many arenas, including psychological, spiritual, scientific, and psychic. I often wonder how and when did we start defining ourselves by how others felt about us, and why did we believe that other’s thoughts about us were true? At what point in time did we allow others to define us? It’s as though we as humanity went into a deep trance. 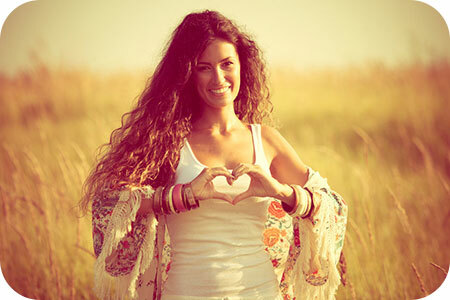 We all know the phrase, “Love thyself first”. When did we forget this vital piece of information? There are many ways we can come back in touch with this essential truth, but for the most part, our society does not support a lifestyle that would naturally lead us back to our sacred center of self-love. How often do you take a moment to look in the mirror, or tell yourself, “I love you?” Most of us feel silly doing this, but it is very healing. Do you often feel drained and overly tired, edgy, out of sorts, depressed, oppressed? Do you feel that there may be entities around you that wish to harm you? To wait until you need psychic protection is often when it is already too late. Prevention is better than cure. The following are some of the basic ways I protect myself before doing psychic readings. I first clear my mind. I take deep, long breaths, exhaling any tension or negative thoughts or energies. Then, with my eyes still closed, I envision a beam of pure white Divine light, coming from Heaven through the top of my head. I visualize it flowing through my entire body and down into the ground, re-grounding me to the earth. Next I envision myself surrounded by a bubble of pure white Divine light of protection. I say a prayer of protection at this time. 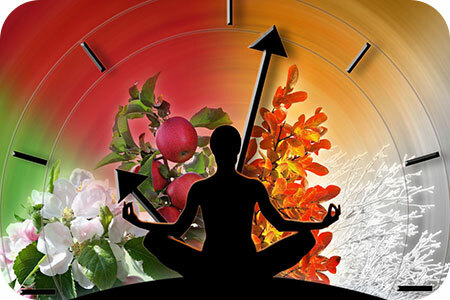 The Wheel of the Year is turning again after last month’s Autumn Equinox in the Northern Hemisphere and Spring Equinox in the Southern Hemisphere. One can now feel a shift in the air. In both of these seasons I usually feel this change in my body, along with emotions of hope and excitement. In Astrology, most of the planets are now direct again, or moving forward, with the exception of Uranus and Neptune, and we are clear of Mercury Retrograde until mid-November. And Mars is getting back up to speed;, helping with the forward movement. As I remember it, the house that I lived in for the first five years of my life was huge. Just a few weeks ago, I took a little trip the that very home. When I drove by, I saw it was for sale. I decided to park in the drive and walk around. As I made my way to the backyard it was just the same as I remembered it – only much smaller! The trees in the back, dividing the neighbors yard and ours, are still there, as well as the porch that was built off the back of the house. The huge birch tree is also still out front and still alive and well. I looked in the windows and it all seemed pretty much as I remembered it. I have wonderful memories of that home. I remember growing up around lot of trees and thinking how they were my friends. Trees are indeed our friends. They are a wonderful gift to this planet. Sometimes we sit under them and read a book, take a nap, climb them. And we cut them down and make paper and all kind of things with them, homes, and so forth. I believe that a spirit can invade a person’s aura and influence the physical vessel in order to relive a particular physical experience. When a ghost invades your space, you can suffer from frequent headaches, unusual body aches, indigestion and stomach issues, earaches, sore throats, and depression. You also may have particularly abnormal dreams or nightmares that are uncommon to you normally. How do you know when you have a spirit or ghost around you? The following signs may indicate that you have an earthbound entity or negative energy attachment, either in your home or any other physical space you inhabit on a regular basis.